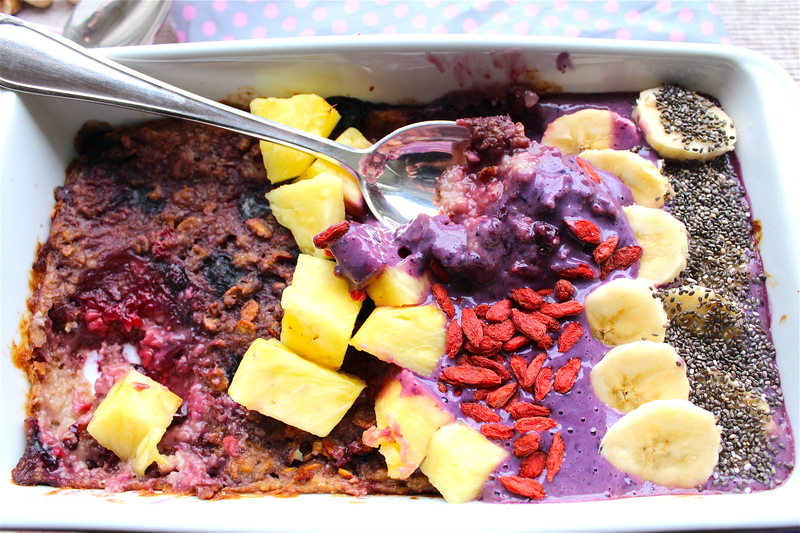 I wasn’t sure how this baked Porridge with Smoothie Cream would work out. But it was really worth it!! I started to crave for a colourful fruity breakfast bowl, after seeing Katrina’s delicious looking Breakfast bowls from The colourful kitchen . I changed it a bit, by baking my oats. 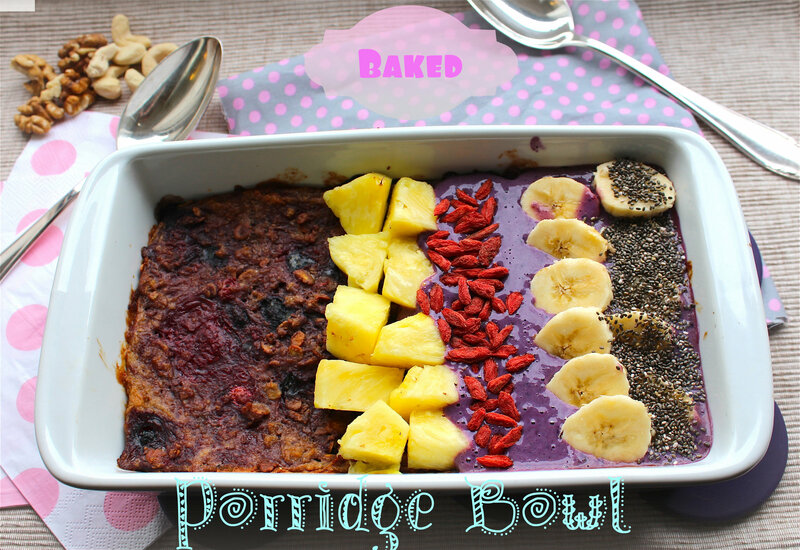 What I like about this dish is, that you can use the fruits and nuts you like or have at home and create your very own perfect Baked Porridge Bowl. I mixed my Oats with Soy flakes, Berries and Nut cream and made a smoothie with Banana, Berries, Ginger, Seabuckthorn juice (Vitamin boost) and Soy milk and topped it with Banana, Pine Apple, Chia Seeds and Goji Berries. It’s a tasty contrast between the hot Porridge and the cold Smoothie. Pssst, by the way: looking for an other fast and easy Brunch Highlight? Have a look at my Breakfast Baskets. I wish everyone a great easter weekend!!! Lots of love and delicious moments!